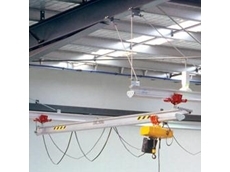 B & N Crane Repairs will market their crane maintenance, repair and servicing capabilities from stand L176, which will also feature Australian Crane and Machinery, at the Queensland Mining & Engineering (QME) Exhibition from 22-24 July 2014. 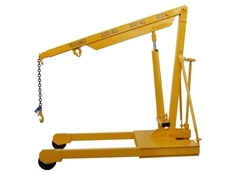 Since their inception in 2000, B & N Crane Repairs have specialised in ten and 25 year rebuilds, crane servicing and repairs, boom fabrication, with extensive expertise in load system calibration and repairs. At QME 2014, B & N Crane Repairs will showcase their new Remote Maintenance Planner (RMP) which has been developed specifically for maintenance planning, productivity maximisation and downtime reduction. Solving the problems associated with multiple software systems across different machines, the RMP suits a variety of machine types and is user-friendly with the ability to log on and monitor fleet on a desktop or smart device. This also provides customers with the ability to conduct preventative maintenance, alerts when modules require replacing and 8 x digital input/output alerts when a unit is due for service, has gone overspeed or has overloaded. B & N Cranes will have a software expert on stand to assist with any visitor questions about the operation of the RMP. 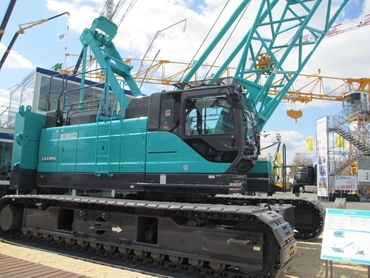 B & N Cranes are an agent for Kobelco cranes and a licensed distributer of LSI Robway products, providing their services throughout the Bowen Basin, Surat Basin and Weipa (North Queensland); including companies such as Newlands Coal. As part of this service offering B & N Cranes run five repair vehicles throughout these regions, with bases in Mackay and Gladstone. As growing international 'crane specialists', B & N Crane repairs are becoming increasingly renowned for their knowledge and professionalism in providing maintenance, repairs and servicing, with a customer base across mine sites in Australia, Africa, Papua New Guinea and the Solomon Islands. 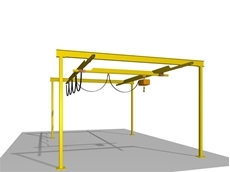 B & N Cranes have the ability to service these mine sites due to the mobile workforce of technicians, with pre-approved visas, and refined mine entry policies. With their own parts interpreter, they also offer the ability to source high quality parts at affordable prices to provide an optimal customer experience.